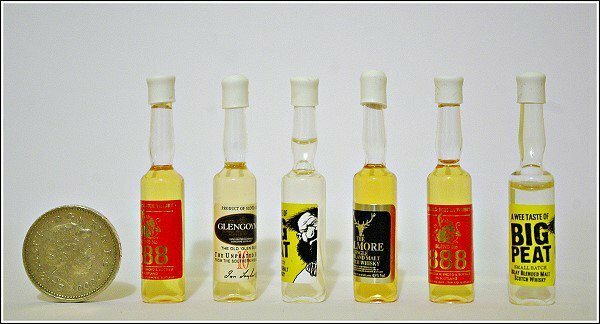 Stephen Dutch Photography: The smallest bottles of Whisky in the world! The smallest bottles of Whisky in the world! These are the smallest bottles of Whisky in the world, by the case (not sure what that means, but I have put the one pound coin at the side to give the indication of size. They cost £1.50 each and there are 4 types. I bought these for my three workmates, I'm sure they will be chuffed to know I brought them two bottles of Whisky each back from my holiday!